toybot studios: New Real x Head Sculps!!?? Posted by the man in Japan, Datadub are these two new sculps by RealxHead. The sheer volume of new toys coming out of Aota is staggering! 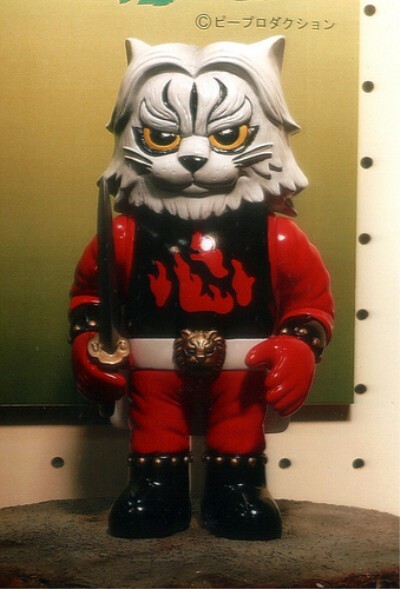 Above is a wonderful Lion Maru tribute and below is a Dokuro Ninja. Both around 6" tall sporting new articulated elbows and carrying weapons!! While I LOVE the Lion Maru tribute, it's kind of a one-trick pony, no? I mean how many Lion Maru colorways can you do? 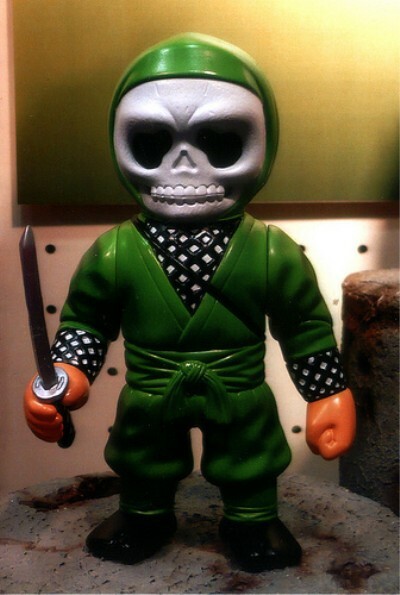 The Skull Ninja guy is less interesting, but has a bit more room for multiple colorways me thinks. I say weapons and accessory packs! !